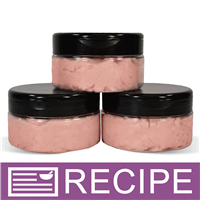 This recipe creates a beautifully emulsified sugar scrub. The peach color complements the nectarine and wild berries scent. 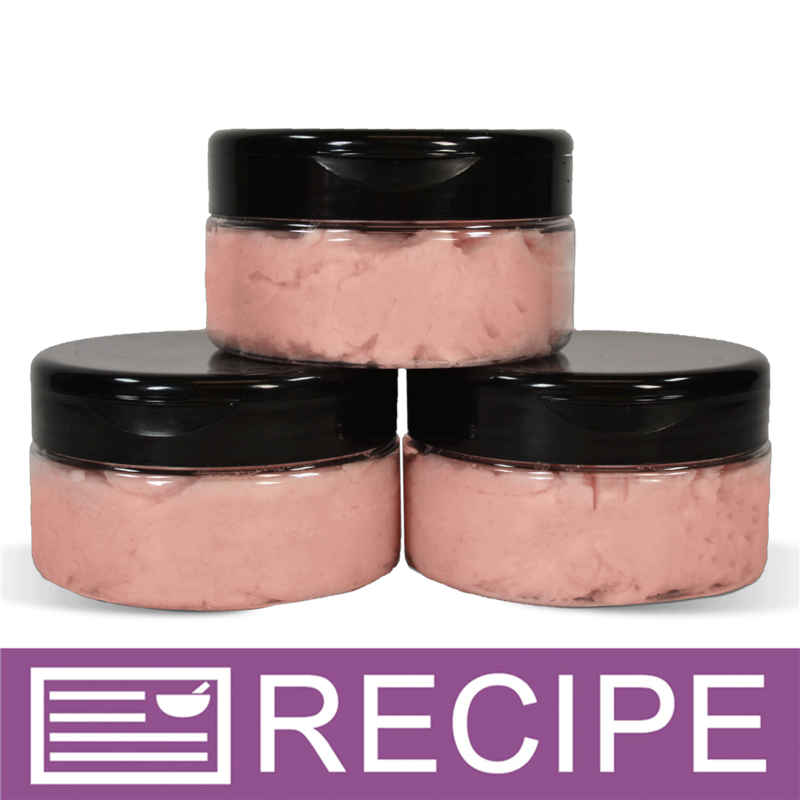 Rub the scrub onto wet skin and rinse off for gently exfoliated moisturized skin. Your body will love it! To metal pot, add apricot kernel oil, mango butter, stearic acid, and emulsifying wax and heat on stove top until the butter begins to melt. Remove from heat and stir until all ingredients are liquid. 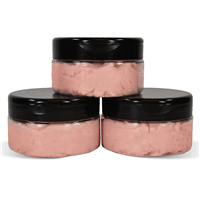 Add fragrance, preservative, Vitamin E and coral mica to liquids. Whip with hand mixer and allow product to cool to 80ºF. Pour into large bowl and slowly add sifted sugar. Mix with hand mixer. Fill jars each with 7.60 oz. by weight. Twist on tops. To Use: Gently scrub on wet skin and rinse. Ingredient Label: Sugar, Apricot Kernel Oil, Mango Butter, Stearic Acid, Emulsifying Wax, Fragrance, Vitamin E, Propylene Glycol, Diazolidinyl Urea, Iodopropynyl Butylcarbamate, Mica, Titanium Dixoide, Tin Dioxide, Iron Oxide. "Can you melt the butters/wax in the microwave instead of on the stovetop?" Staff Answer They can be melted in the microwave but a stove top is easier to control the heat. Be sure not to completely melt the butter as stated in Step 1. "Can I sub the preservative for optiphen?" Staff Answer Yes you can use Optiphen Plus in this recipe.